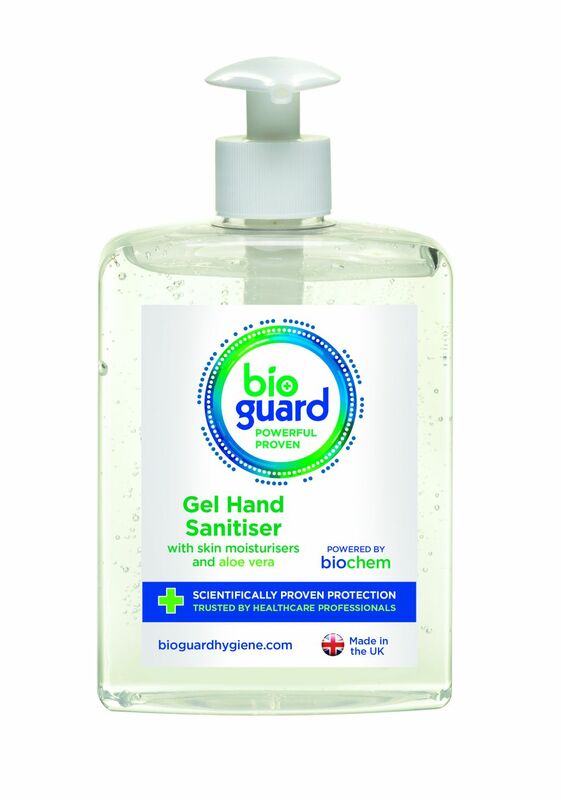 High performance alcohol hand gel that is anti viral and bacterial. Contains Aloe vera to reduce skin irritation risk. Tried and trusted for more than 15 years, independently tested to BSEN1276 and BSEN1500 and AFNOR, economical to use and with enhanced skin-moisturising properties. 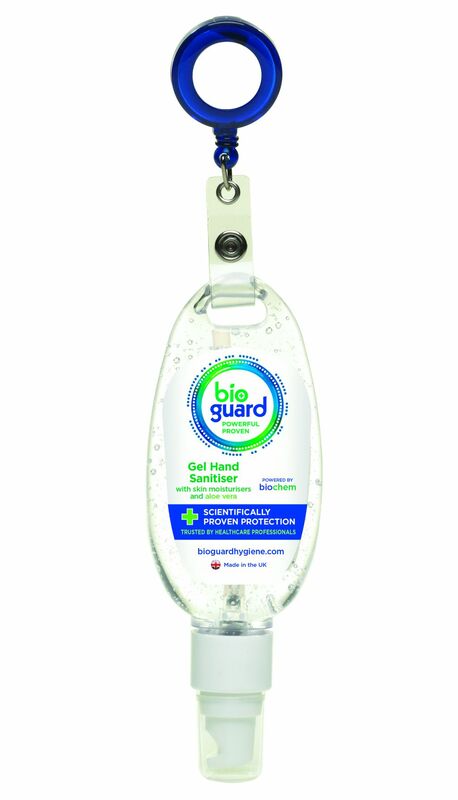 Cutting-edge research and development, combined with independent testing, ensures Bioguard surgical hand gel with Aloe vera is truly effective for use across the whole spectrum of professional healthcare environments. 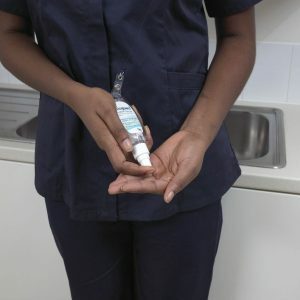 NON-HAZARDOUS – Conforming to the latest health and safety legislation. For more details, please refer to our Independent Test and Safety Information CD. USER FRIENDLY – Contains cosmetic-grade skin conditioners and moisturisers, plus Aloe Vera, to safeguard users’ hands from irritation or sensitisation. 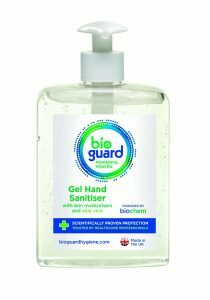 TIME AND LABOUR SAVING – The combined cleaning and disinfection action removes the need for separate products. 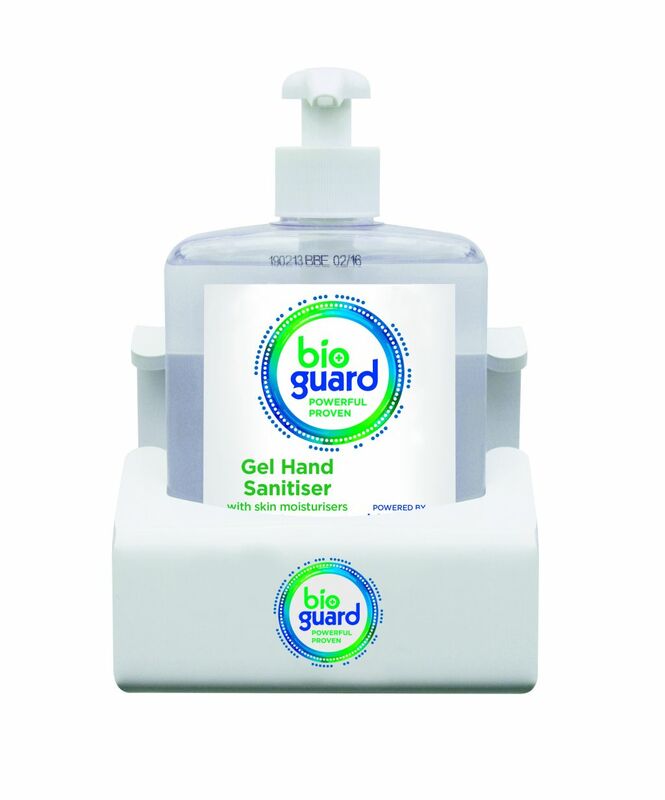 IDEAL FOR HIGH RISK ENVIRONMENTS – The professionals’ choice since the early 1990s; widely used in clinical facilities, including mortuaries and testing labs. 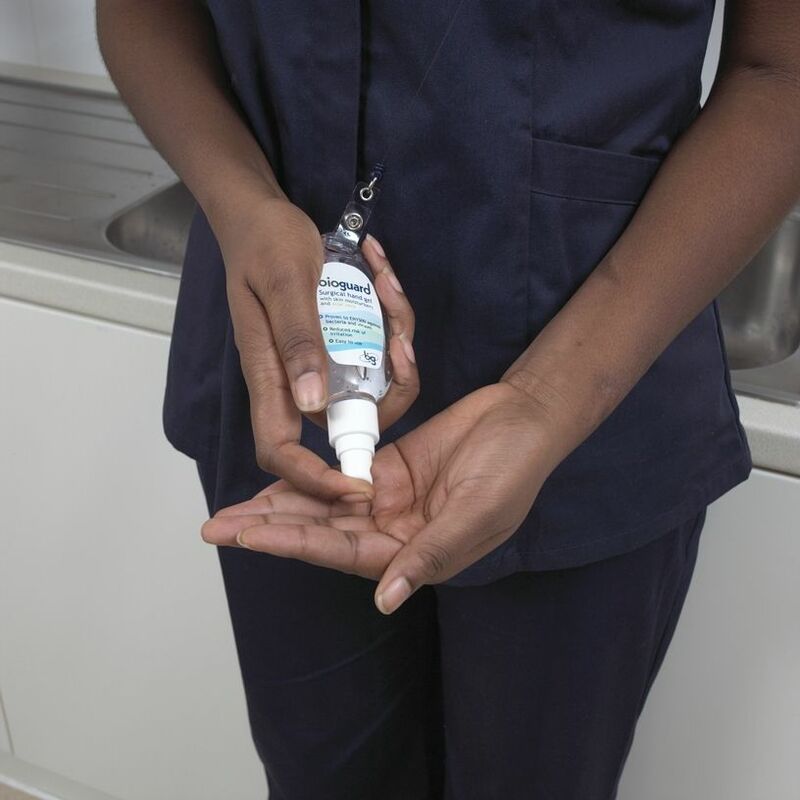 FLEXIBLE AND CONVENIENT – Can be used as a standalone hand decontaminant in situations where clean water is not available for washing. ENVIRONMENTALLY FRIENDLY – Proven by independent audits to be nontoxic, biodegradable and non-accumulative in the eco-system. No special procedures are required for product disposal or in case of spillage. 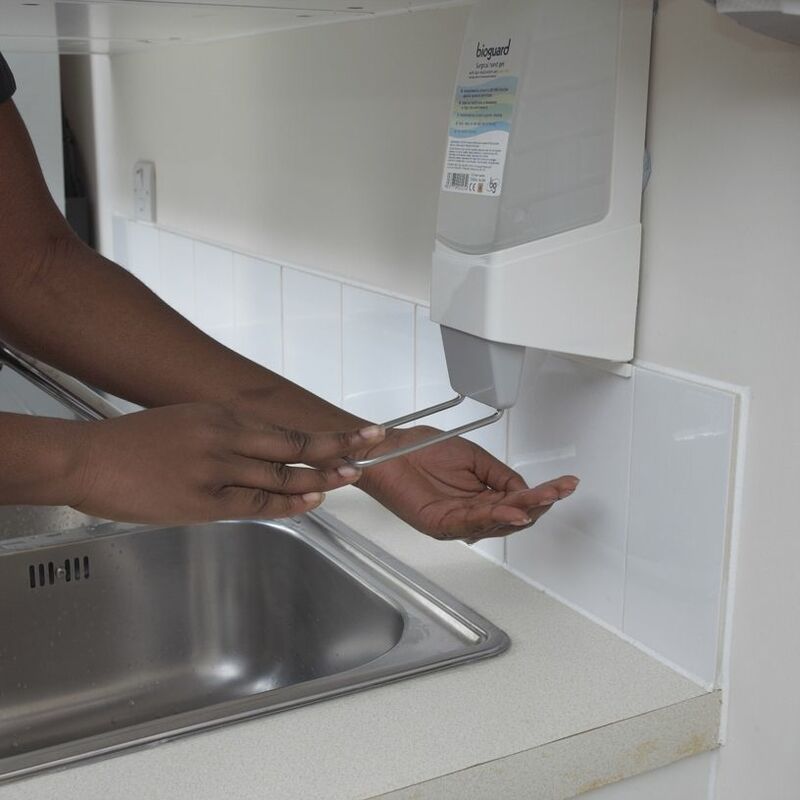 ECONOMIC IN USE – Superior cleaning action means you use up to 30% less, when compared to rival products. 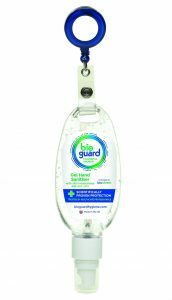 Bioguard surgical hand gel with Aloe vera is formulated for use in any healthcare environment where there’s a risk of infection from dangerous micro-organisms.